When will be The Classic Rock Awards next episode air date? Is The Classic Rock Awards renewed or cancelled? Where to countdown The Classic Rock Awards air dates? Is The Classic Rock Awards worth watching? The Classic Rock Awards is an annual event held in Tokyo, Japan where some of the all-time greats in classic music gather and are acknowledged for their contribution to music history. Rock and roll legends come together in Tokyo, Japan, to honor some of the finest musicians in the industry. The 2016 award ceremony features performances from Cheap Trick, Richie Sambora, Johnny Depp, and Joe Perry. The evening closes as guitar icon Jeff Beck gives a special honor to fellow Yardbird Jimmy Page. 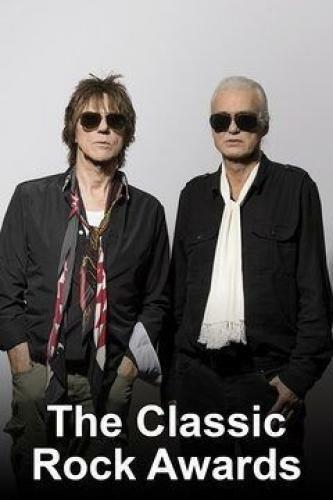 The Classic Rock Awards next episode air date provides TVMaze for you. EpisoDate.com is your TV show guide to Countdown The Classic Rock Awards Episode Air Dates and to stay in touch with The Classic Rock Awards next episode Air Date and your others favorite TV Shows. Add the shows you like to a "Watchlist" and let the site take it from there.